If you are an SAP Manager / Director with functional and technical experience… This could be your next big career move! The successful candidate will be responsible for improving processes and procedures while ensuring that the SAP environment is secure and running efficiently. Evaluation of infrastructure and systems on a regular basis to ensure efficient well maintained systems is key. Importantly the individual in this role will be responsible for continuous delivery of IT services. Typical responsibilities will include monitoring system performance, directing production support and adhering to service level agreements with end users. •	Direct application development, maintenance and continuous delivery of SAP based IT Services. •	Design and maintain both on-premise and cloud strategies involving the SAP portfolio. •	Be subject matter expert, advisor and visionary on SAP based technologies and recommend new technologies that will increase profitability. •	Define, publish, and enforce an applications infrastructure architecture that enables integration of enterprise applications. •	Evaluate technical designs of infrastructure and systems to ensure sound investments. •	Devise, implement, and continuously improve operational processes and procedures to ensure an appropriately maintained and secure SAP environment. •	Provide technical leadership and direction to the IT organization in the area of enterprise architecture to ensure it will contribute to the company achieving its goals. •	Drive business case definition for key projects. •	Direct off-shore SAP services from both a commercial relationship and operations perspective, in the areas of application development, security, Basis, etc. •	Oversee program level planning. Ensure plans are created and updated in a timely manner, communicated to relevant stakeholders, assess risks, and manage deliverables. •	Ensure continuous delivery of IT services by monitoring system performance, directing production support and adhering to service level agreements with end users. •	Manage assigned staff through successful recruitment, performance management, development planning, and retention of a high performing team. Effectively delegate responsibilities to achieve group goals and align individuals to the best of their abilities, while ensuring optimal oversight and supervision to ensure goals are achieved and appropriate growth in technical, leadership and team membership skills. 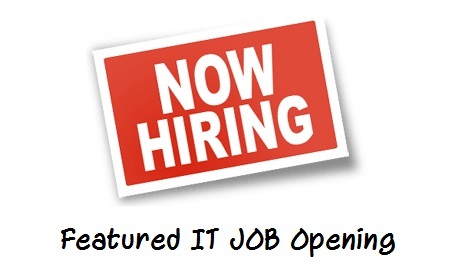 •	Demonstrated leadership experience managing a complex SAP technical environment.